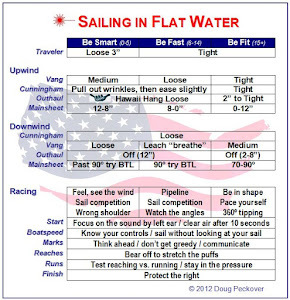 With the Cheat Sheet articles about "be smart" completed, I'm going to post some thoughts about "be fast" (you can review the 3 sailing gears here). For me, these are the conditions above 5 and below 15 where boat speed is everything. 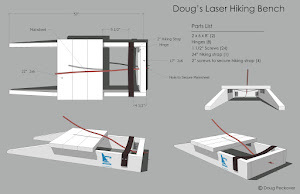 I grew up and learned to sail in Montreal, where Bruce Kirby and Ian Bruce introduced the Laser and yes, I knew some of the people working at the original Performance Sailcraft. But I left for Sydney a year before the Laser was introduced and it was not until five years later that Frank Bethwaite suggested I buy one. While moderately competitive, I did not win a major event for the next 15 years and was never fast enough to go to the open worlds. It was not until I as in my 40's and I bought waterfront property in Dallas that I really learned how to sail. After putting my sons to bed, I'd go for a night sail as a way to wind down, and certainly did not expect this to change my sailing forever. You see, sailing at night was completely different because it cut me off from from my regular senses. I could not see the sail or waves and could not judge my speed, but I could feel the boat and hear the differences in speed as my boat moved through the water. After a few months, I found a whole new way to sail, everything from getting more lift from the centerboard and trapping differences in wind pressure to going through certain types of waves faster. It was amazing, and I started winning major events on boat speed alone. Instead of trying to figure out the local shifts, current, and conditions, I simply picked a person I wanted to beat (more on this here) and then went with that person. If I got behind, I'd stay with the leader instead of taking a flyer. Boat speed made me a more patient sailor. It's interesting to note that my vision was failing at this time and I was on the way to slowly going legally blind. 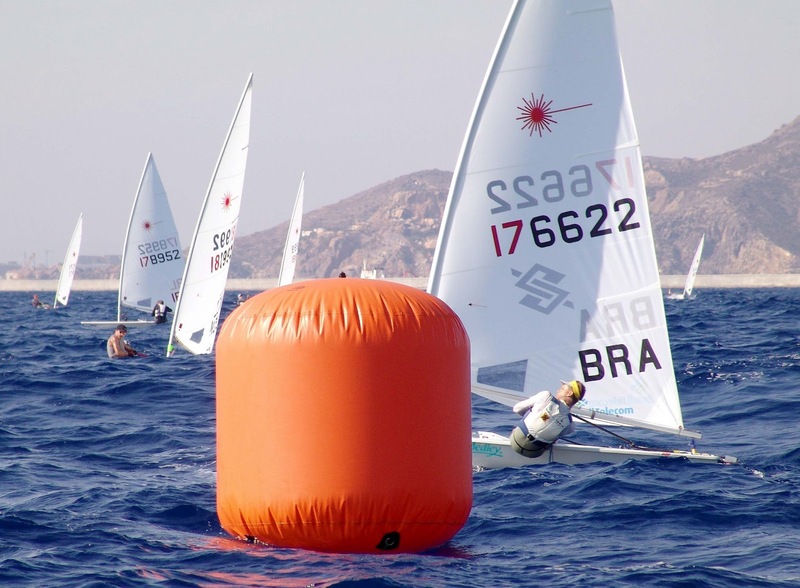 But rather than slow down or quit, sailing at night actually helped me improve enough on my own to win master national and world championships (I wanted to keep my vision issues private but some people figured out that I could not properly see laylines, wind patterns, and even my own sail). I tried variations, like sailing during the day blindfolded to simulate sailing at night. But believe me, it's not the same because I really had to starve my normal senses to make this work. For most of us, sailing at night is impractical and even dangerous. 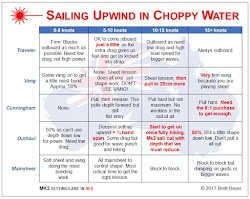 So rather than recommend this, I'm going to share everything I learned to improve my boat speed. Everything was centered around what I call "pipeline" which is a term I got from watching the skiing halfpipe competitions on TV. In the middle, they're going the fastest and they slow down and stop on either side. Speed in the middle is everything, and pipeline is my way of describing the feeling of finding something in the middle that is really fast. I used this feeling with the only real controls I had sailing a Laser - my mainsheet, my tiller, my weight in and out, and my weight fore and aft. While this might sound simplistic, there are many combinations that are really fast, and my purpose of sailing at night evolved into getting extra boat speed from these four controls. For example, heading up stalls and slows the boat down and you counter this by leaning in. You then bear off again and lean out as you accelerate. While the pressure on the sail changes, the top of the mast does not move, so it's completely legal. Pam calls this "fishy" because of the way the boat goes through the water, and can be really fast in 6-10 with small waves because it leads to a trick I learned called "pressing." This will be discussed in more detail. The truly great sailors instinctively find and use the fastest combinations of these four controls to give them additional speed. The most gifted sailor I have ever watched is Robert Scheidt. 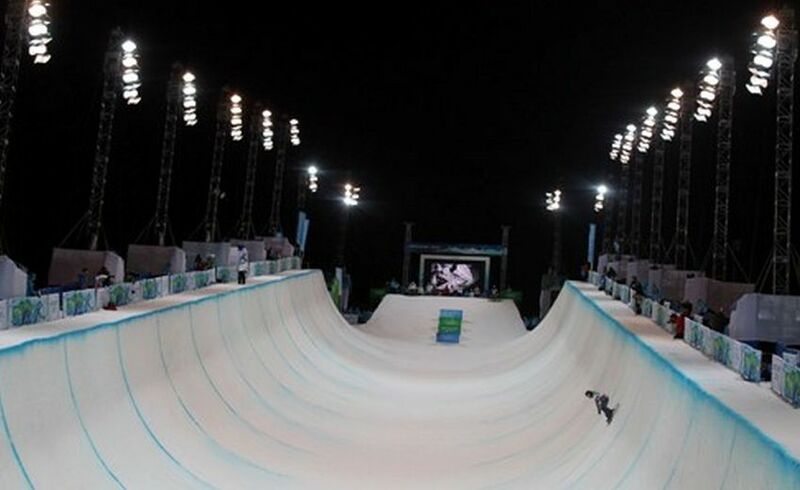 In my next Cheat Sheet post, I'll discuss my observations of how he used his fore and aft movement to go over waves which contributes to his distinctive style and amazing speed.